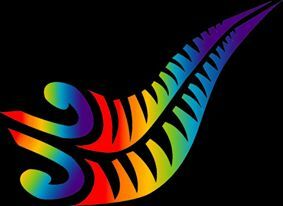 The goal of Rainbow Team Wellington (RTW) is to unite and support Wellington’s LGBTI Sport and Recreation Clubs. The member clubs are a primarily place where LGBTI people come together through their enjoyment of their sports and cultural activities. They can be the place where a person first comes out, or first meets a larger group of LGBTI people, and our clubs are spaces where we grow our community. RTW is not a campaigning, political, welfare or fundraising organisation – this work is being done by other groups. The RTW Forum is the group of all clubs and their members – and all of Wellington’s LGBTI Sport and Recreation clubs are welcome to join us. We meet from time to time to get to know each other, to share information, to grow our memberships, and to make plans. We have a RTW Facebook page here. The RTW Committee is a group of members nominated by the Forum. There are two conveners. The committee’s role is to coordinate our information sharing, event planning and to maintain the RTW website. RTW was founded in 2015. We owe a great debt to the Gay Blacks – formed back in 2002 to join people to the international Gay Games, and to the organisers of the 2011 Asia-Pacific Outgames that took place in Wellington. We especially want to carry on the energy that that event brought to our community here in Wellington. RTW is supported by Wellington’s LGBTI networking and lobbying organisation Rainbow Wellington, who help us manage our finances. You can make a donation to RTW through the Rainbow Wellington bank account. Details are on the Contact Us page. Listen to a short podcast about Rainbow Team Wellington.